An immense resource - in depth information on over 900 species of invasive plants (it also has information on animals, fungi etc). Australia - New South Wales, Tasmania, Victoria. Economic Native Plants of New Zealand. Brooker. S. G., Cambie. R. C. and Cooper. R. C.
An interesting and readable book on the useful plants of New Zealand. ]. It requires hot, sunny summers if it is to ripen its wood fully and flower freely. 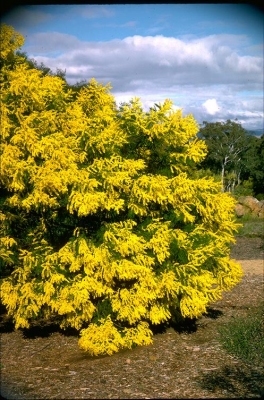 Shrubs for the Milder Counties. Trees and shrubs that grow well in Cornwall and other mild areas of Britain. Fairly good, a standard reference book. Polunin. O. and Huxley. A. A very readable pocket flora that is well illustrated. Gives some information on plant uses. ]. Rich in pollen, they are often used in fritters. A very good book dealing with the subject in a readable way. Wrigley. J. W. and Fagg. M.
A lovely book, written in order to encourage Australian gardeners to grow their native plants. A little bit of information for the plant project. The Forestal Land, Timber and Railways Co. Ltd.
A fairly detailed treatise on the major sources of vegetable tannins. The seed of most, if not all, members of this genus has a hard seedcoat and may benefit from scarification before sowing to speed up germination. This can usually be done by pouring a small amount of nearly boiling water on the seeds (being careful not to cook them!) and then soaking them for 12 - 24 hours in warm water. By this time they should have imbibed moisture and swollen - if they have not, then carefully make a nick in the seedcoat (being careful not to damage the embryo) and soak for a further 12 hours before sowing. Rinaudo A.; Patel P.; Thomson L.A.J.